An Almanac of Words at Play. New York: Clarkson N. Potter, Inc, 1975. 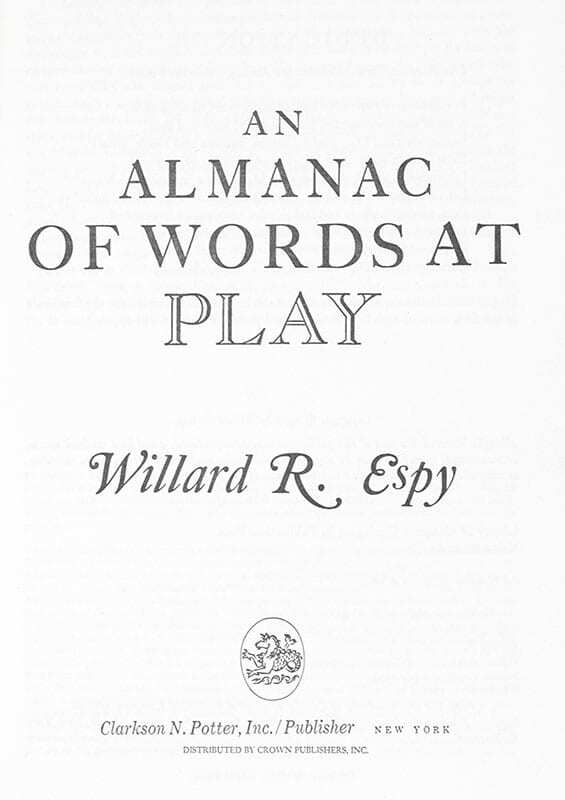 Early printing of Espy’s work on wit in wordplay. 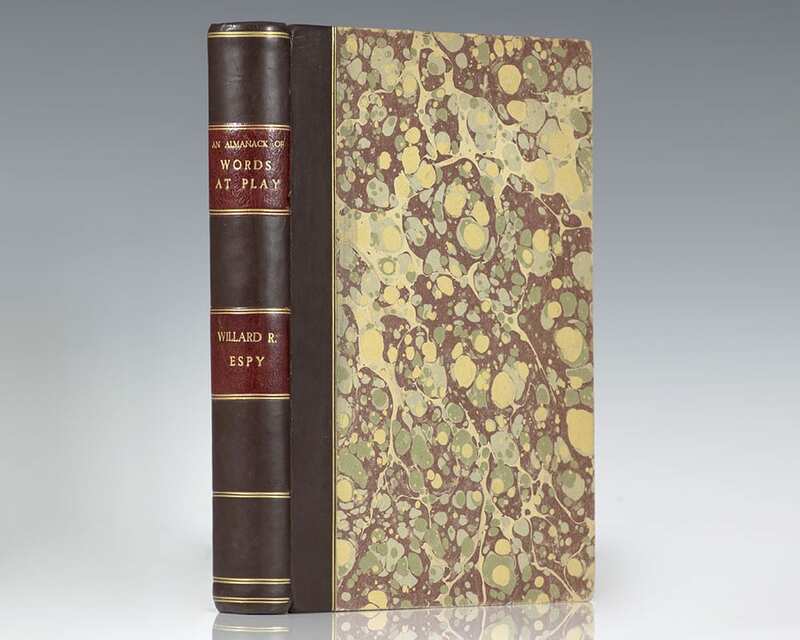 Quarto, bound in half morocco over marbled boards, gilt titles and tooling to the spine, red spine labels, marbled endpapers. 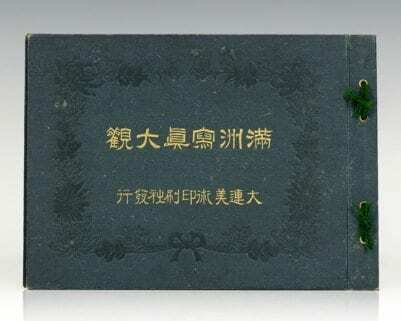 Presentation copy, from the library of Jonathan Goodman with his embossed library stamp to the front free endpaper. Enclosed is a typed letter signed by the author to the recipient date March 7, 1977 in the original envelope. 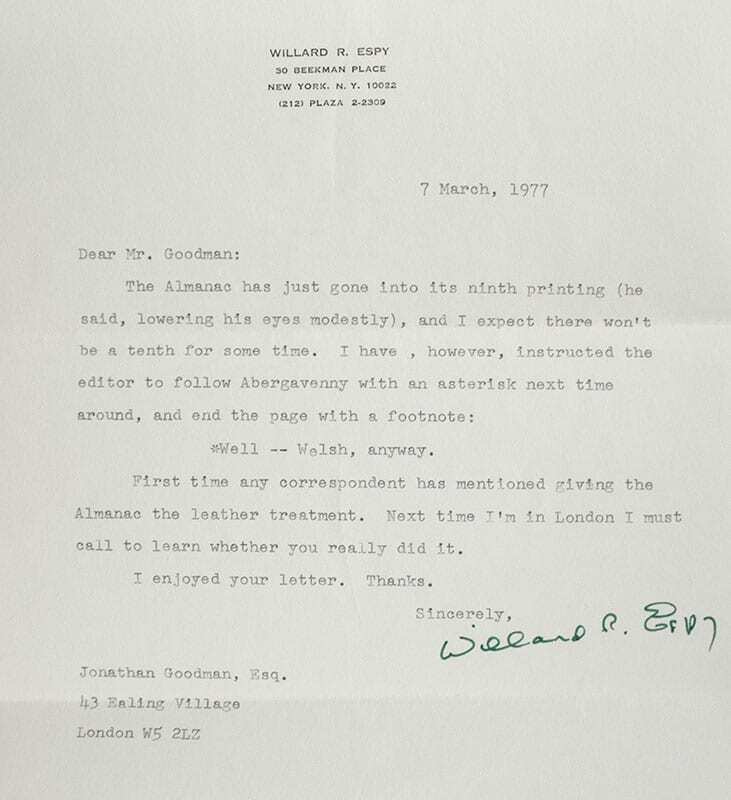 The letter reads in part, “First time any correspondent has mentioned giving the Almanac the leather treatment. Next time I’m in London I must call to learn whether you really did it…Sincerely, Willard R. Espy.” In near fine condition. A nice association with noted provenance. 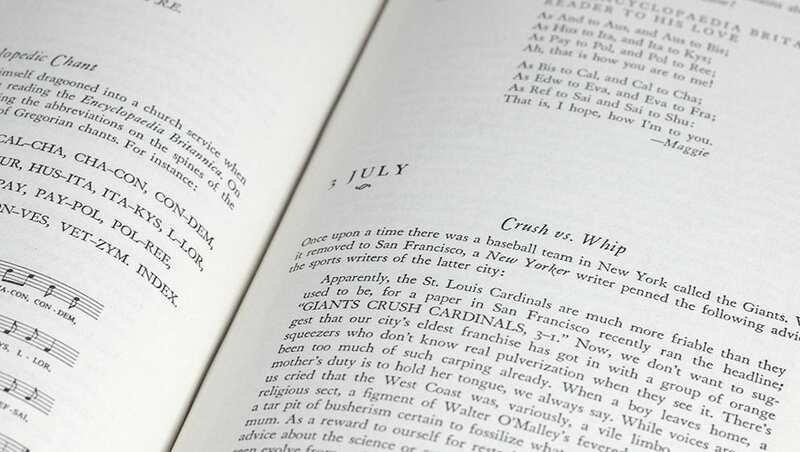 American editor, poet, and philologist Willard Richardson Espy became the best-known collector of and commentator on word play of his time, publishing numerous books and articles on language and history. 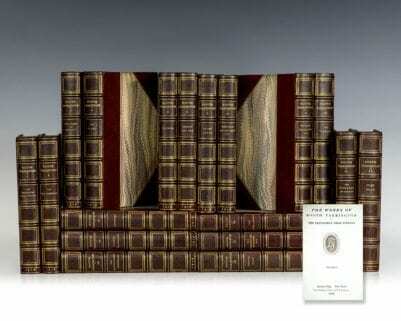 An Almanac of Words at Play was honored at the Governor's Writers Day Awards and became a national bestseller. 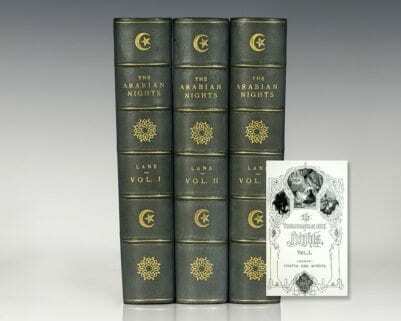 Espy's light verse has been compared to that of Lewis Carroll, W. S. Gilbert, Ogden Nash and Cole Porter.